Getting ahead in the music industry can be tough. Getting recognized and getting signed can take forever for some artists. You need to take a proactive approach to start building up a fan base and generating some buzz around yourself. That’s why social media is one of the greatest tools available to musicians. There are many social media websites out there which you can use for promoting your music. Some are even designed for artists. Each has its own unique benefits for musicians. Here are five of the best ones for bands and artists to promote themselves. With an average of over 1.18 billion daily active users, Facebook is a great place to promote anything. You can create a page for your music and start connecting with fans. Facebook is fantastic for all promotional purposes. You can post links to your music, upcoming tour dates, and anything else that might interest your fans. Start building up followers to get your music career buzzing. Much like Facebook, Twitter is great for all your promotional needs. With its short, 140-character length posts, it’s ideal for posting tidbits of news and tour dates. It’s ideal for reaching out to new fans. People often share posts from their favorite bands and artists, so more users will see them. It’s also excellent for fan engagement, so make sure you make a page on Twitter. Soundcloud is becoming a hotbed of up and coming artists. In fact, many rappers and singers used the platform to launch their career. You can create a profile and upload your songs to listeners all over the world. Getting a lot of plays and followers on Soundcloud can get you recognized by people in the industry. It helps to cross-promote your songs on other social networks, and you could also consider buying Soundcloud plays. The more listeners you get, the better. Your fan base will grow fast, and your music career will take off. 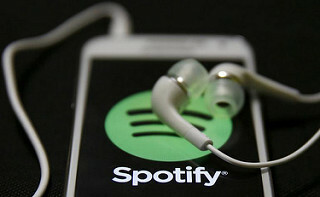 Spotify is becoming the streaming service of choice for music lovers all over the world. Every artist should get their music on Spotify. Not only will it please your current fans, but it can also get you tons of new ones! Spotify has some interesting built-in social features which make it great for promotion. For instance, it’s easy to post links to your music on Facebook and other social networks. You could also put your songs on public playlists to get new listeners. While Spotify does pay artists and labels- they only get a small dividend. The value is more in the free promotion you get- you can drum up new fans which will come to tours and buy merchandise. YouTube is arguably the best place for musicians to promote themselves. Many bands and artists generate a buzz by recording and posting cover versions of songs. You can also post videos of live performances. If you want to take things a step further, you could even create a music video. You could generate a lot of interest in your song- especially if it goes viral. Video content is highly useful for performers. It’s free to post videos on YouTube, and you can generate a strong base of followers and viewers to make your name. ← Tech Tips: Amazing Hacks For Your iPhone That You Don’t Know About!